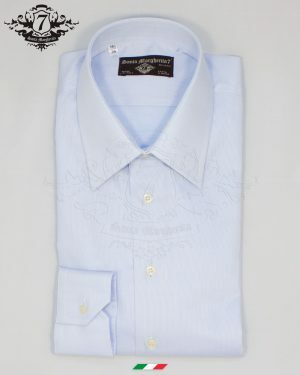 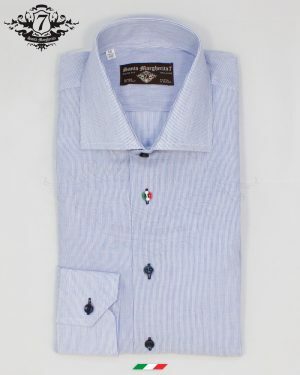 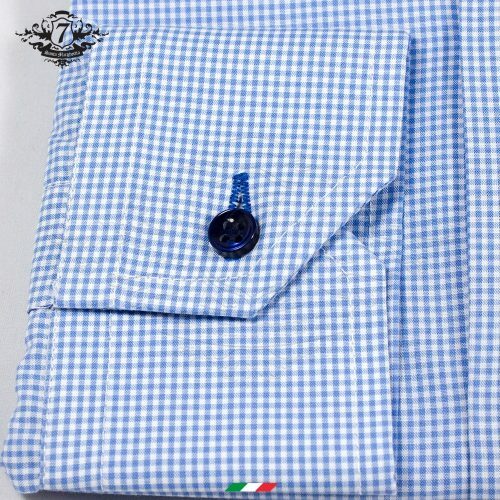 Man’s shirt Luchino. 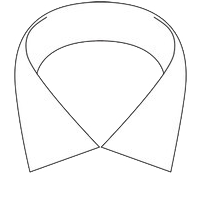 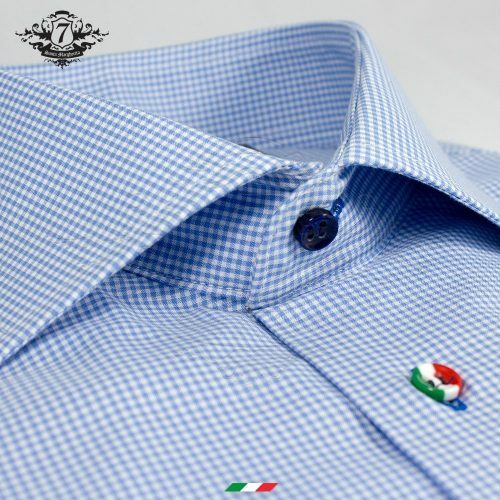 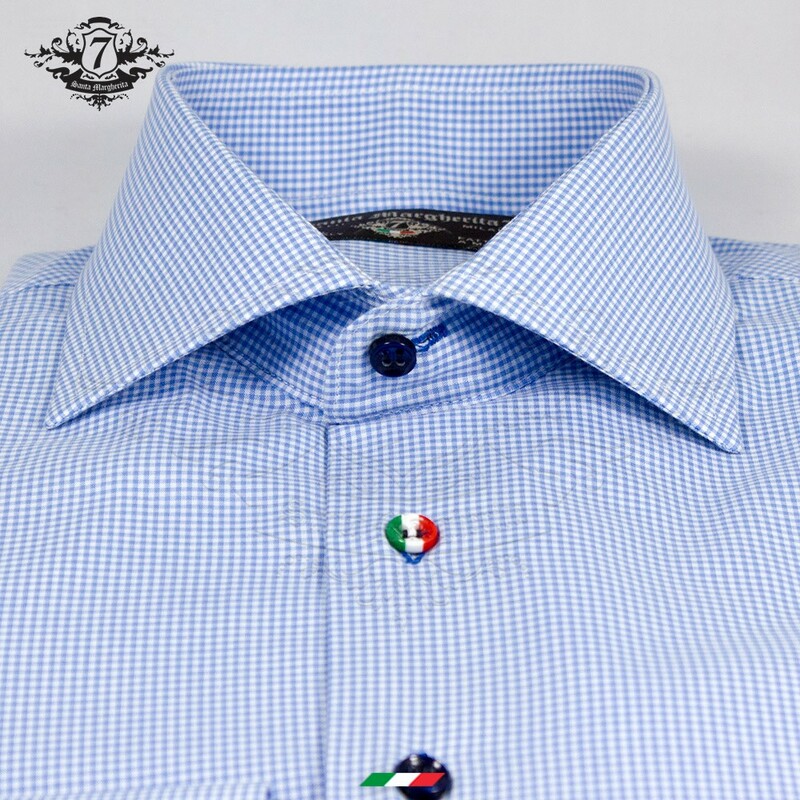 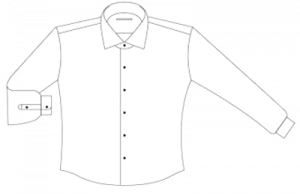 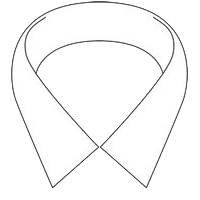 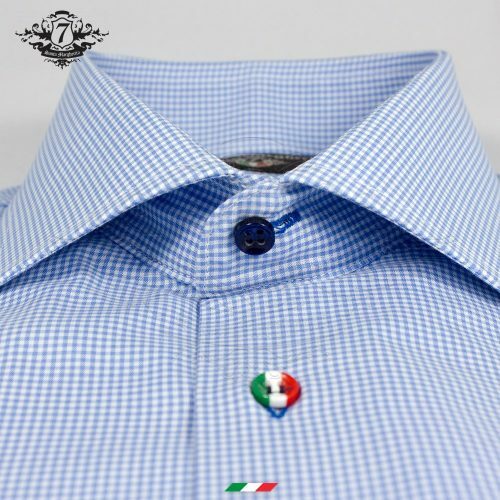 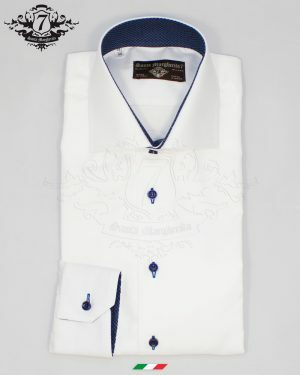 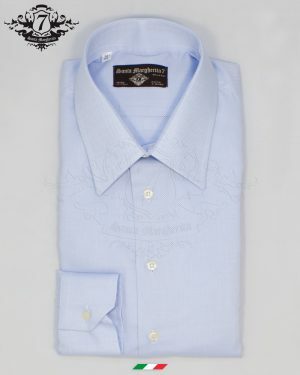 Tailored shirt with French collar, slim fit and second button Italy, is characterized by the poplin workmanship and a very thin checkered pattern. 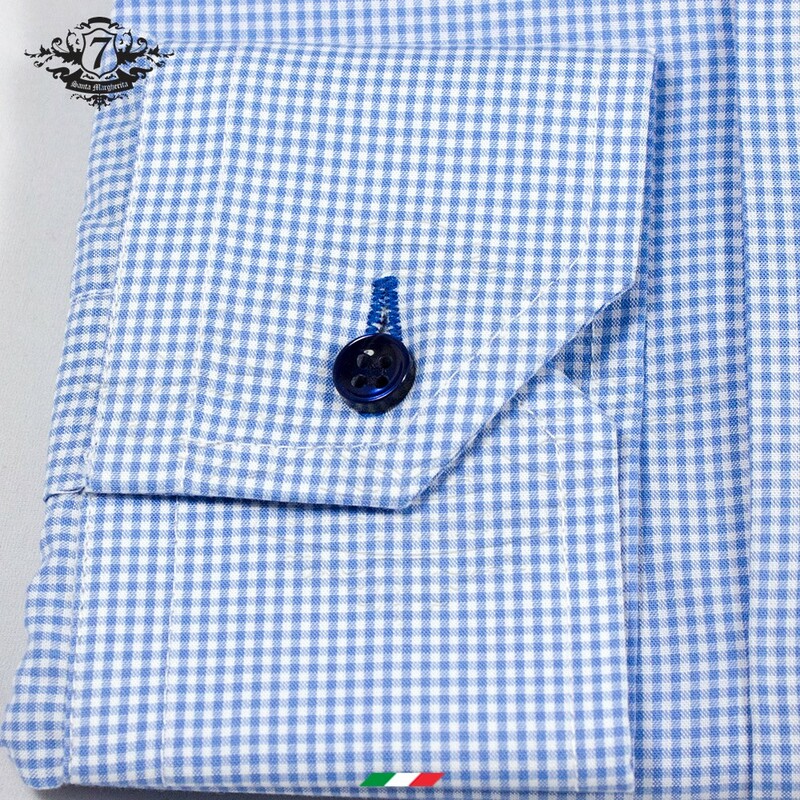 Brightened by buttonholes and dark blue ton-sur-ton buttons.